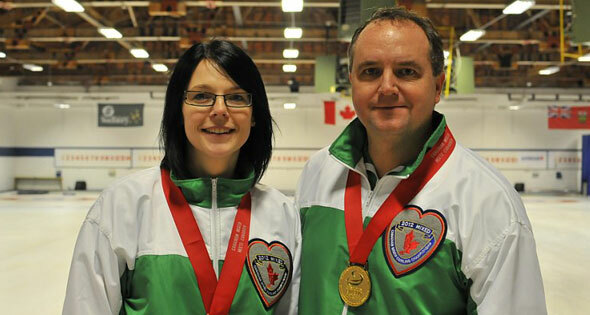 Team Saskatchewan, skipped by Jason Ackerman, won the Canadian Mixed Curling Championship in Sudbury back in the fall of 2011. 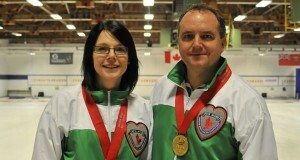 The team opted to split up and play off for the right to represent Canada in Turkey at the 2012 World Mixed Doubles Championship, held from April 23-29, 2012. 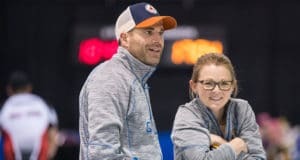 Chantelle Eberle and Dean Hicke, who play third and second on the mixed team, played together in the mixed doubles playoff against Jason Ackerman (skip) and his wife Colleen (lead). The two mixed doubles teams played a best of seven in Regina over the weekend of January 7th-8th, 2012 and the Eberle/Hickey combination won four straight games and the right to represent Canada on the world stage. 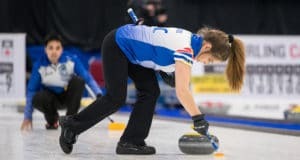 Congratulations to both Chantelle and Dean on becoming our latest members of Team Canada and good luck at the World Mixed Doubles Championship in Turkey.